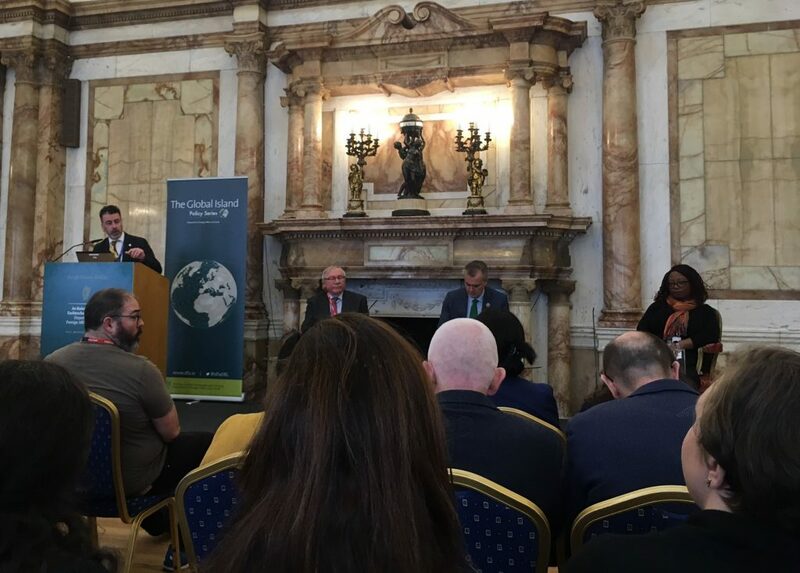 The PSAI Specialist Group in International Relations and Area Studies in conjunction with the Department of Foreign Affairs and Trade held a workshop on Africa-EU relations in Iveagh House, Dublin on Friday 16th November. The event, organised by Dr Kenneth McDonagh, IICRR and Dr Niall Duggan, University College Cork. The event was addressed by Dr Toni Haastrup, University of Kent and Mr Felix Fernandez-Shaw Directorate for International cooperation and development policy at the European Commission. The workshop also featured contributions from Dr Walt Kilroy, IICRR Associate Director, Dr Fiona Shanahan, Trócaire, Dr Michelle D’arcy, Trinity College Dublin, Dr Stefan Andreasson, Queens University Belfast, Dr Paul Gillespie, University College Dublin and The Irish Times, and Dr Su Ming-Khoo, NUI Galway. This workshop was a timely contribution to the subject of EU-Africa relations. Simon Coveney, Minister for Foreign Affairs and Trade, highlighted the need for greater engagement on this during his address to the Royal Irish Academy Annual Conference back in May of this year.